The first Birchbox of the new year has arrived and boy was it a nice one! 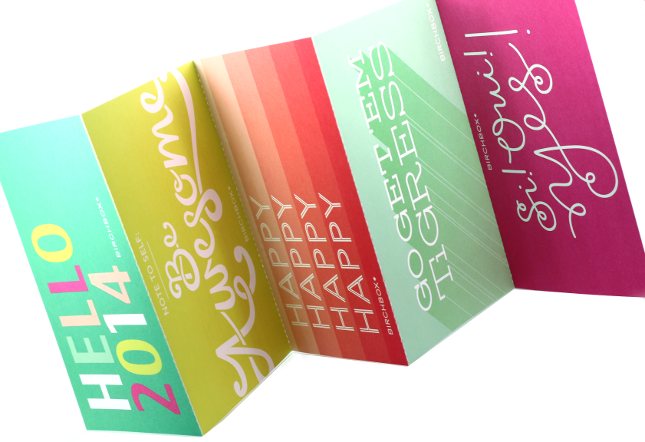 This month's theme is "Go Time", which emphasizes on trying and incorporating new things into our lives for 2014. And what better way to kick things off than with a couple of new product samples? Check out what I received in my January box! 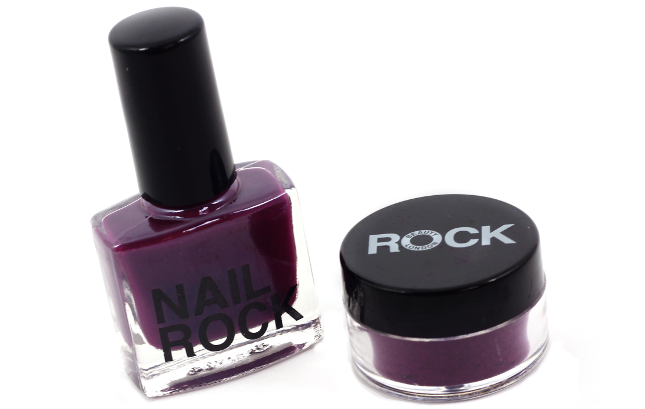 Nail Rock Velvet: This cool kit from Nail Rock takes the basic mani up a notch by offering a textured matte, velvet finish. I received the Velvet Burgundy shade and it is just stunning. Such a great color for the winter. 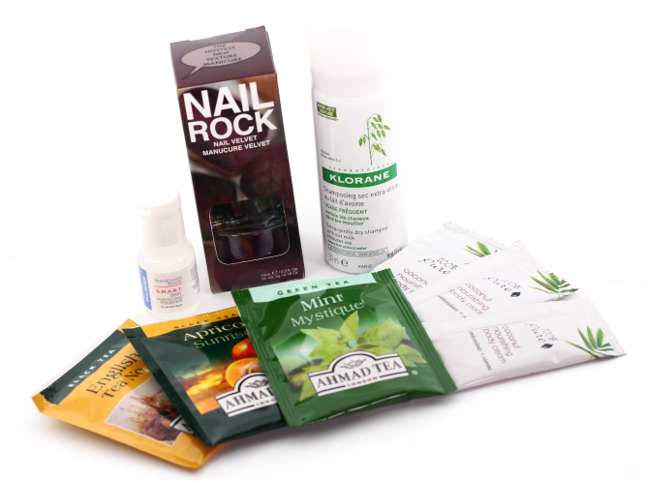 The kit-which includes the polish as well as a jar that houses the velvet bits, looks simple enough to use. You start by applying two coats of the nail color, then dip nails into the velvet and dust off the excess. That's it! I am sure the velvet mani look will be great to sport on special occasions. Grand Central Beauty S.M.A.R.T. Skin Perfecting™ Polisher: This botanically infused polisher is unlike any other one I have ever seen. It not only exfoliates, hydrates, and tones the skin, it's also rinse-optional. After massaging a bit of this onto dry, clean skin, you just wipe away or rinse off the beady residue that forms. 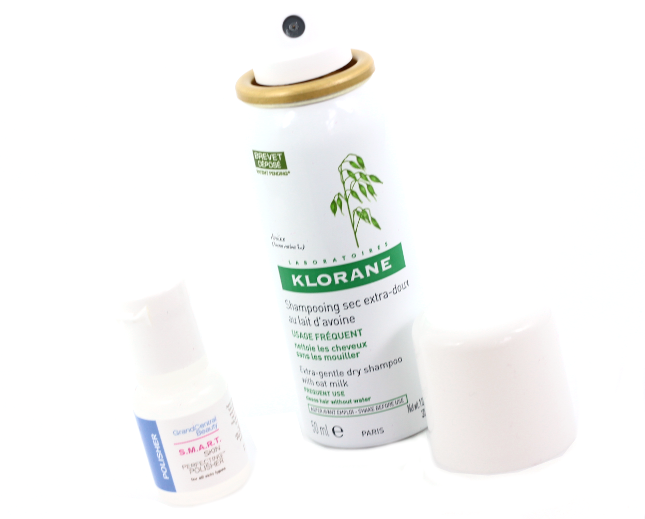 Klorane Gentle Dry Shampoo With Oat Milk: My hair is pretty dry for the most part, but my scalp tends to be super oily (I avoid hair conditioners on my scalp area because of how oily it quickly becomes). Dry shampoos are a great quick-fix for a greasy scalp, since it helps soak up any extra oil. This dry shampoo from Klorane smells amazing-so fresh. It doesn't leave behind a white residue, and it gives my hair a little volume and lift to boot. 100% Pure Nourishing Body Cream: I received three sample packets of the coconut nourishing body cream and I am contemplating purchasing a full size. The coconut scent is scrumptious, and the rich, thick cream is super moisturizing and just melts into my skin without feeling heavy. 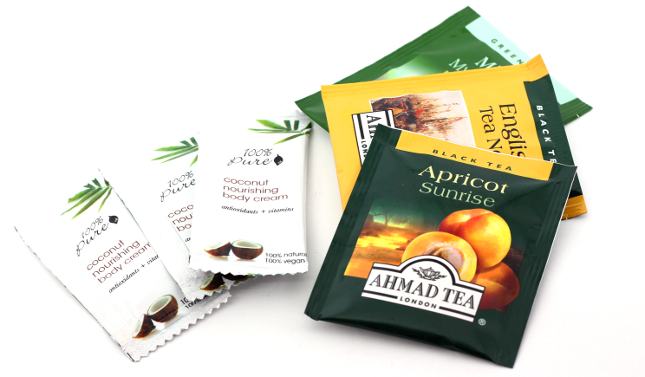 Ahmad Tea London: These teas were the lifestyle extra in my box. I received three blends-Mint Mystique, Apricot Sunrise, and English Tea No.1. I love tea, and I bet these taste delicious. There is nothing like a soothing warm cup of tea, especially during these cold winter months. Also included in my January Birchbox were these motivational cards that are jam packed with helpful tips and suggestions. So cute! 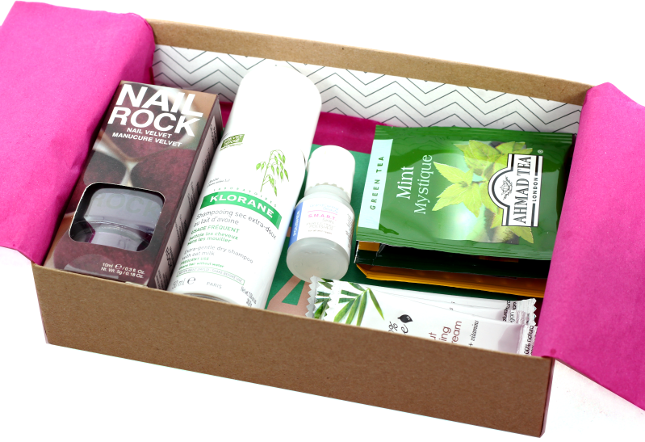 What did you all receive in your January Birchbox? I am so glad I cancelled my BIrchbox sub when I see everyone still getting those awful tea samples. Ipsy is much better. I am sorry to hear that you weren't happy with your Birchboxes :( I do think that some months are better than others, but for the most part I am pretty pleased with the boxes most of the time. I don't mind getting tea bags and other treats in my boxes every now and then, but I totally get where you are coming from. It can be annoying to constantly receive items you just aren't fond of. It's cool that you mention Ipsy because I recently signed up for their subscription service a couple of weeks ago. I already got my January bag and I am pretty excited about it. I will be sharing what I received in my bag on here later today!